We prepare girls for moving on to a wide variety of secondary schools. We work together with parents in order to make transfer smooth and successful. Our members of staff at Newbridge have many years of experience in preparing girls for entrance examinations and their professional judgement in this area has a proven track record. The Headmistress, assisted by the Assistant Deputy Head, help parents in their quest to identify the right school for their daughter after Year Six. To help parents in this complex and time-consuming process, we arrange a number of meetings with parents during which all the various options can be explained and discussed. 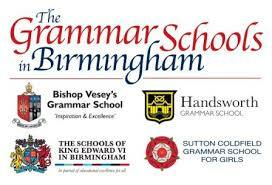 As an Independent School we are not restricted by the National Curriculum and our curriculum is personally structured. In Upper School it is geared every step of the way for those who wish to take senior school examinations at 11+.